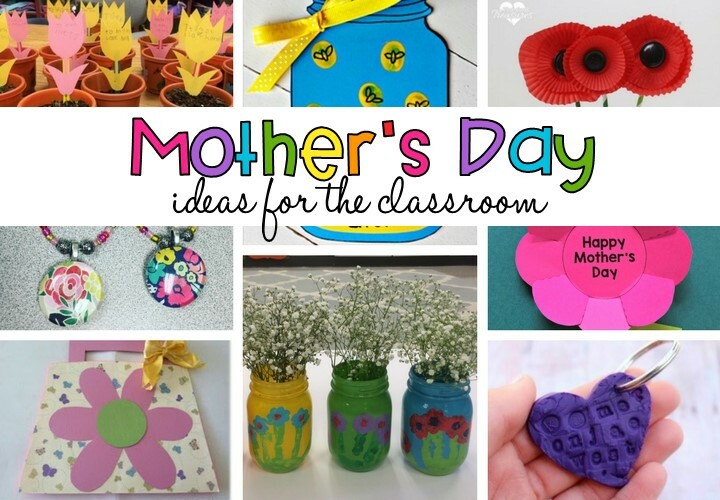 Are you in search of the perfect mothers’s day gift for your students to make? Whether you prefer to go simple or all-out for Mother’s Day Gifts, this list is bound to have something for you. 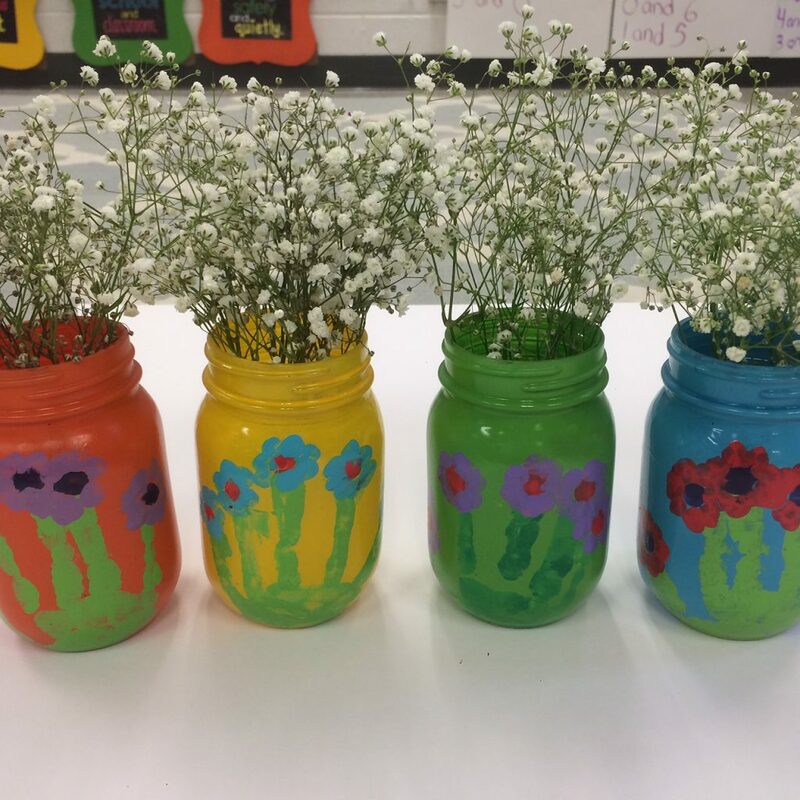 1.Hand Print Mason Jars- I made these last year with my students. They take a little bit of prep beforehand, but they are easy and a huge mom-pleaser! Just spray paint mason jars at home. 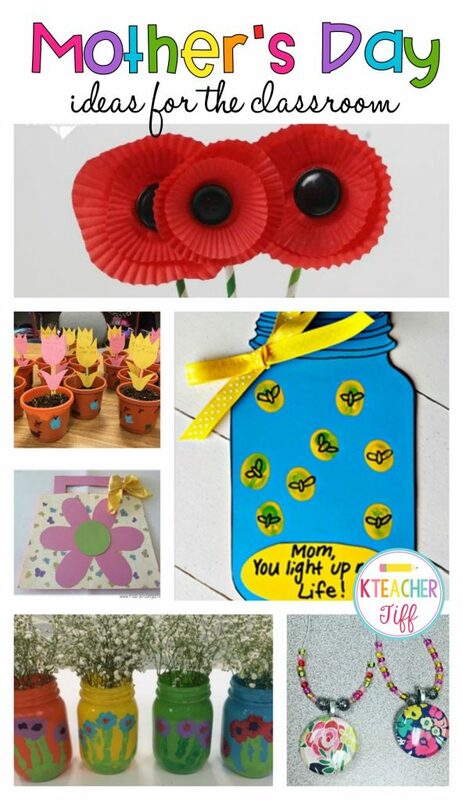 Use craft paint to paint your students’ hands and press them gently onto the jar to create the stems. Then allow them to choose the colors of paint they like best and use their fingerprints to create the flowers. I put on a clear coat of spray to seal it all in. You can put real or tissue paper flowers in them! 2. 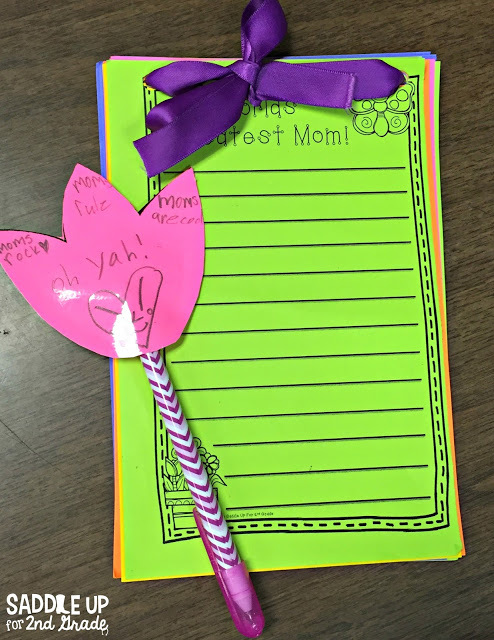 Mother’s Day Purse from Miss Kindergarten– These purses are filled with “truths” that your students write about mom. Always good for a laugh, and adorable to boot! 3. 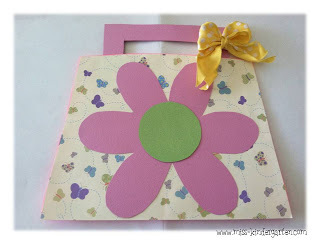 Mother’s Day Flower Card Freebie– This card is simple and fun! 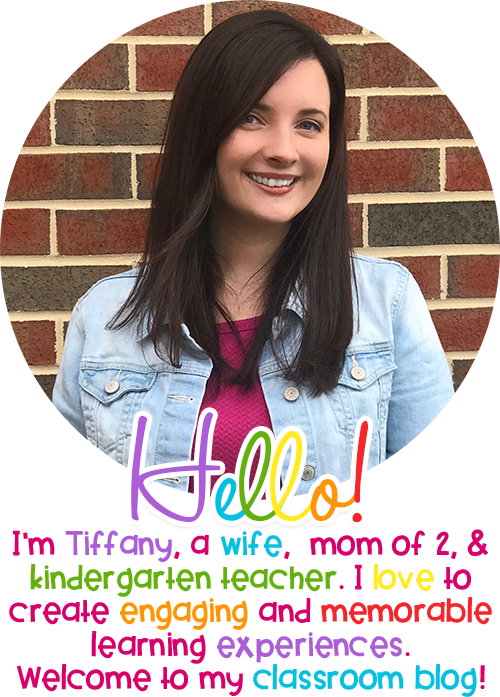 You can place a photo of each child in the center to personalize it even more, or just use the “Happy Mother’s Day” option. 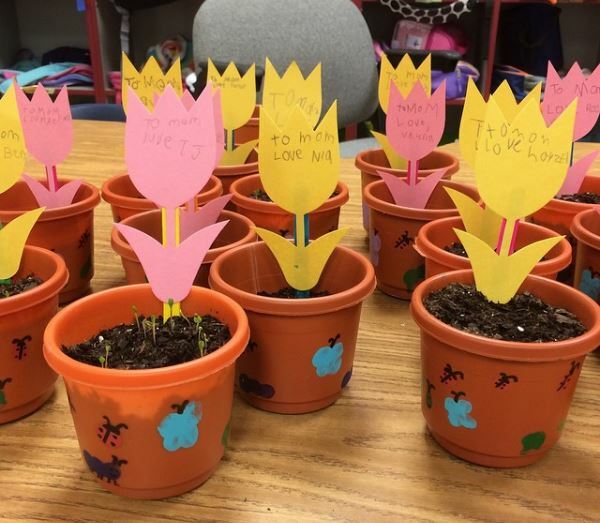 Students will write how mom helps them grow to add a writing element. 4. 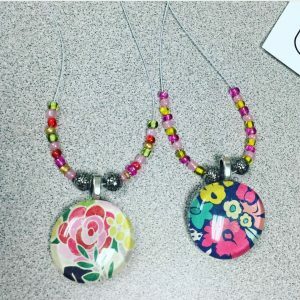 Mother’s Day Necklaces- My teammate makes these every year with her students. They are heavy on the teacher side, but a great option for providing mom some jewelry she might actually wear! You can have students choose a design they like on scrapbook paper, or personalize them with their pictures like Little House of Four did Here. 5. 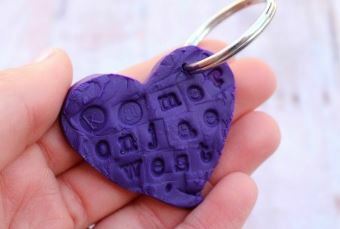 Heart Keychains from A Girl and a Gluegun– Use Sculpey to create heart-shaped keychains or necklaces! 6. 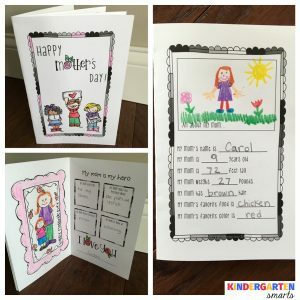 Mother’s Day Notepads from Saddle up for Second Grade– What mom, grandma, or aunt doesn’t love notepads? This free printable is easy and inexpensive to turn into colorful notepads for Mother’s Day. 7. 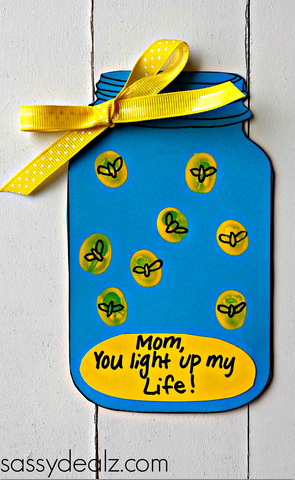 Fireflies in a Jar Card from Crafty Morning– Moms love anything using fingerprints. Just looking at this card makes me happy! Card stock, paint, and a little bit of ribbon is all you need. 8. 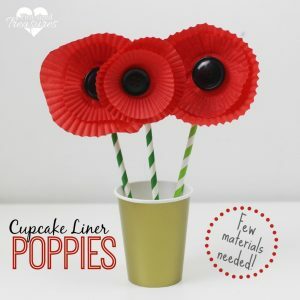 Cupcake Liner Poppies from Pint-Sized Treasures– Make adorable poppies using simple, inexpensive materials: cupcake liners, paper straws, and buttons! 9. Fingerprint Pots- Aside from the planting materials, acrylic craft paint, terra cotta pots, and a sharpie are all you need for this idea. Have your students dip a finger into some paint and them guide them to create the shapes of butterflies, caterpillars, ants, ladybugs, and even friendly spiders! When the paint is dry, add details using a sharpie. And if your seeds don’t sprout in time, just add a paper cut-out glued to a craft stick! 10. 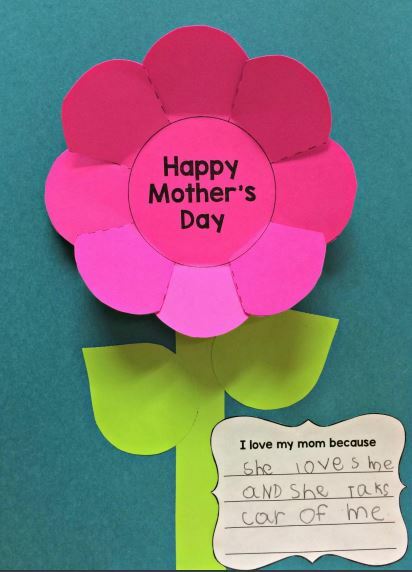 Mother’s Day Big Book and Mini Books from Kindergarten Smarts– I love ideas that get students writing. These books are adorable and will be treasured forever! Kid writing and drawing is the best! Don’t forget to pin these ideas to come back to next year!